31 JANUARY 2018. MADRID – With the mission of enhancing the visibility, control, and security of network access for all types of enterprises, Fontech, the technology arm of Fon and leader in WiFi software, has launched Enterprise Control Solution. Designed for the management of wireless network access security, the cutting-edge solution, gives enterprises the authority over which users and devices are connecting to their networks in real time. They can create user groups with different access privileges based on a wide range of factors and flexibly change them in real time from a central location. The provision of WiFi connectivity and the implementation of mobility strategies such as BYOD in the workplace are having a significant and growing impact on business success. According to Cisco research, 69% of IT decision makers see BYOD as a positive practice, especially when considering that employees save 37 minutes on average per week by using their own devices. By making working more flexible and enabling access to information remotely, employees can use previously “dead time” productively, which implies cost savings at an organizational level. But with this proliferation of mobile devices and their increasing use, security and privacy risks are on the rise. Fontech’s Enterprise Control Solution has been developed to put the power back into the hands of enterprises. The cornerstone of the solution is a cloud-based management platform that incorporates a new security layer into the enterprise’s existing network infrastructure, enabling clients to implement and manage WPA2 Enterprise without investing in complex, on-premises infrastructure. Fontech’s Enterprise Control Solution provides an intuitive self-onboarding portal for employees that allows them to configure their devices to access “WPA2-Enterprise” networks, guaranteeing easy and secure access to WiFi. Fontech’s Enterprise Control Solution also includes a user-friendly admin portal for configuration and management of the service. Network access is controlled with RADIUS-based policy enforcement that includes both user and device-based policies, and supervised through monitoring tools provided for network administrators. The solution can be integrated with multiple directory services, including LDAP, Active Directory, G-Suite, and Office 365 or any other providers such as JumpCloud, OneLogin, and Auth0. In addition to controlling the access of regular users, the solution offers a powerful Guest WiFi module that facilitates the management of visitors connecting to wireless networks. This can be done via invitation through WPA2-Enterprise as well as through a customizable captive portal, so sharing passwords on paper becomes a thing of the past. As an increased number of businesses require the managed provision of WiFi solutions and services, Fontech’s Enterprise Control Solution is also ideally suited for Service Providers (SPs) interested in covering the needs of multiple business verticals. The solution is multi-tenant, allowing for the simple, central management of an infinite number of enterprises, no matter what their network structure or vendor. Fontech is already distributing the solution on a global scale via Winncom, an agreement the two companies announced last week, as well as working directly with a number of businesses to implement Enterprise Control directly. Fontech, the technology arm of Fon, makes managing and operating WiFi smart and simple for operators and enterprises. Our portfolio of software-based solutions and team of experts empower our clients to deliver carrier-grade WiFi services in a secure, scalable, and uniquely flexible way, enabling an exceptional WiFi experience for their customers. We are the trusted WiFi software provider to top-tier global telcos and enterprises such as the Deutsche Telekom Group, SoftBank, Telstra, and Vodafone Group. More information at fontech.com.  Fon is the global WiFi network. We pioneered residential WiFi sharing over a decade ago and, together with leading telcos, we’ve built the world’s largest WiFi community of over 21 million hotspots. We are experts in keeping people seamlessly connected by aggregating residential and prime public WiFi footprints, as well as facilitating interconnection between WiFi networks. Our global clients include AT&T, British Telecom, Eurona, KPN, Proximus, Travel Club, and Virgin Mobile. Discover more at fon.com.